Free bar for our customers and £10 off any repair, BARGAIN! Apple iPhone 5 screen to start the day then a charge port, battery replacement, 6s sale and 5 iPhone 6 screen repairs. 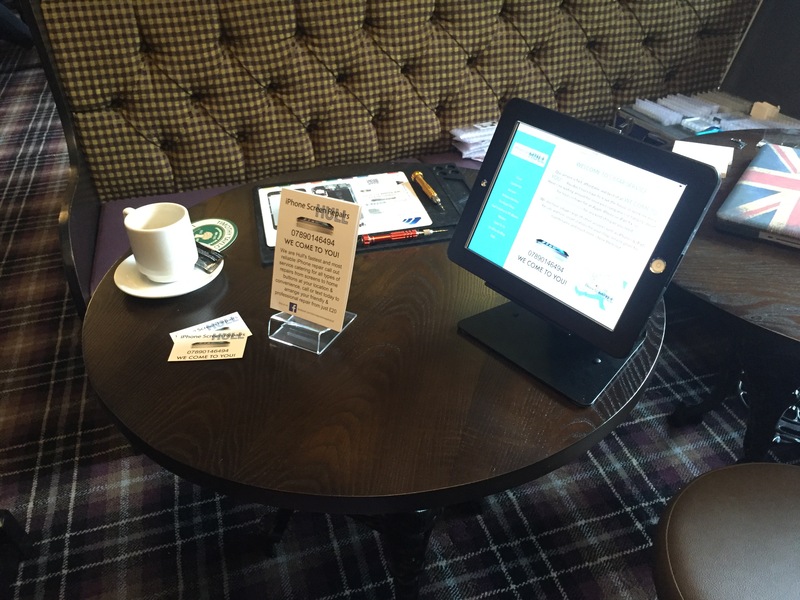 we we're also showcasing our new iPad stands, perfect for your business, hotel or even the Smart Home to really stand out! Get yours today! See you in 2 weeks for our next event at The Hase!